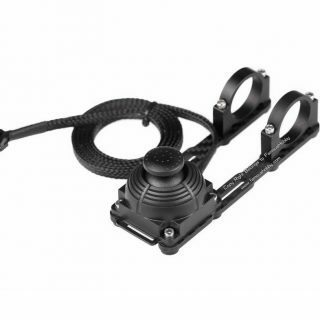 Brushless Gimbal Controll newest 32-bit Generation. 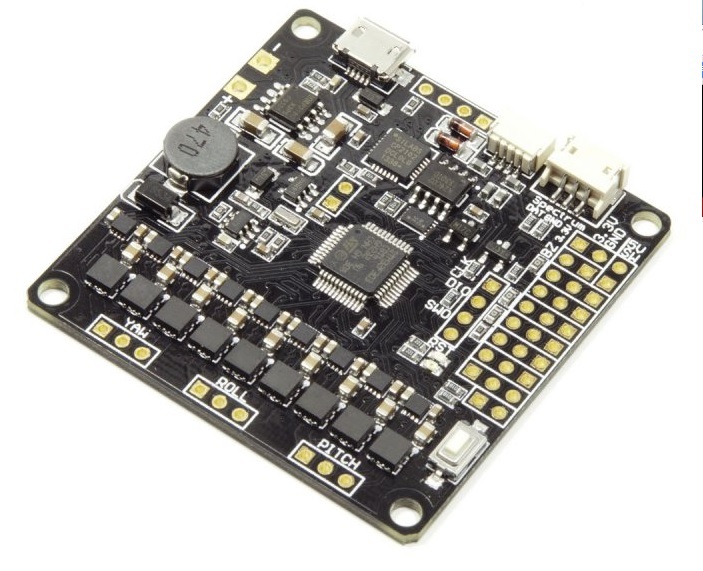 This board is to controll 3Axis brushless Camera Gimbals. We have used special drivers, from our own development, to controll the Motor, that helps to keep te mosfet cool during high current, this Board is really suited for Big Motors. It is possible to use 3A for each Motoroutput. 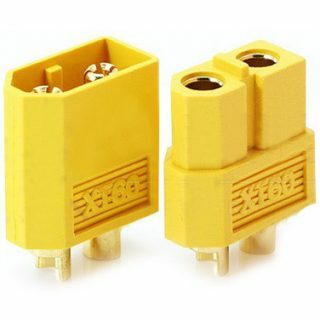 The used Fets we used offering a good safety margin. 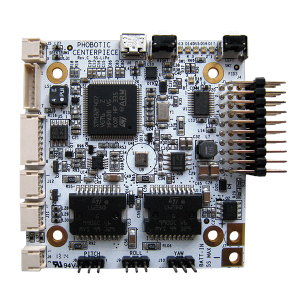 Directly integrated onboard is the Frame Imu which allow you a higher precision. 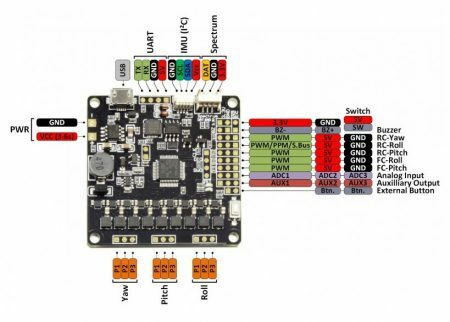 If a “above yaw imu” is needed, this is still easily possible, if there is any need as the “below yaw imu” is directly onboard and serves you with a perfect behaviour without any drift on the most important axis by factory default allready, no extra wires or setup is needed, exept the software setup of the sensor. Or you can use a bluetooth module on the UART Port.